Consultation Room - Penzance, Cornwall. 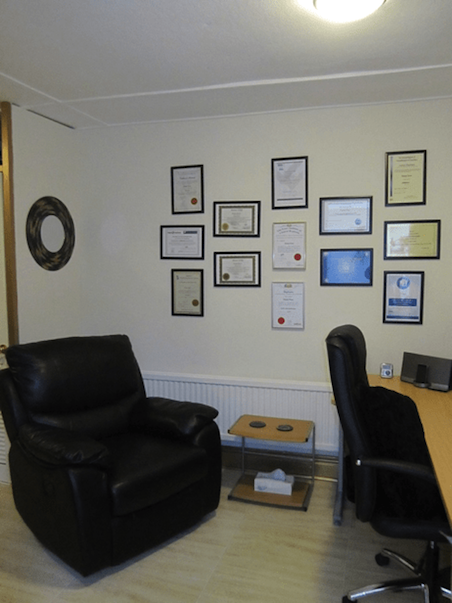 My consultation room is situated at the base of my house in Penzance. 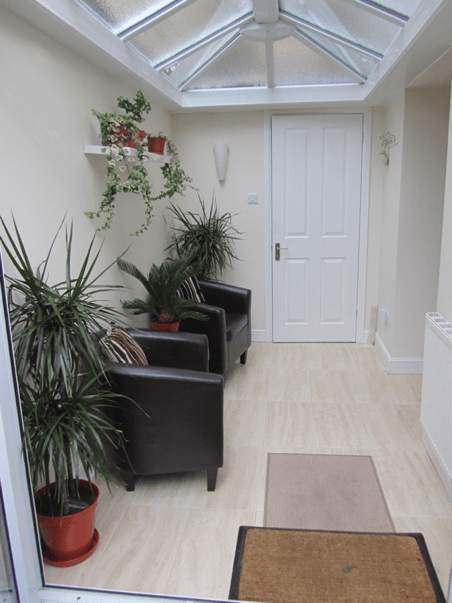 It is a professional yet comfortable room, with a reception/waiting area and toilet, and entrance is via a private access door at the rear of the property, which means it is kept totally separate from the living accommodation. There is plenty of free parking space available, and I am approximately 15 minutes walking distance from the railway station or bus station. I will also be working at Health and Happiness in Liskeard every Thursday.